There are two ways to alter the order of carriages in your train. You can either take a card from the deck and replace any existing carriage with the one you have just drawn, or you can use the ability of one of the face up cards next to the draw pile. 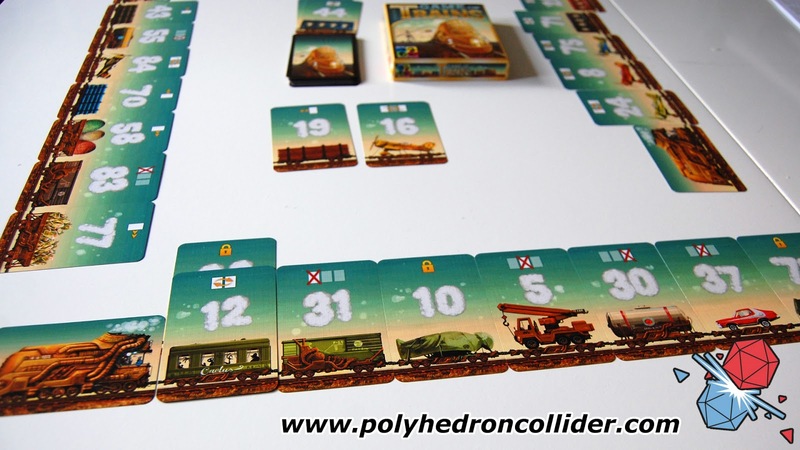 These abilities are also pretty straightforward, allowing you to move carriages forward or backward two spaces or swap a carriage with that in another space. The most complicated cards in the deck, and the ones to cause the most annoyance amongst your friends, are the discard cards. These force every player to discard a specified carriage and replace it with one from the draw pile. The real bummer is that these cards discard only the left most card, right most card, or middle card, so if you have managed to position a nice low numbered card in your first position, you better watch out that someone doesn't bugger the entire thing up. Thankfully there are a couple of a ways to negate this effect. This first is that there are lock cards that can be used to protect these locations. The second is actually the most important aspect of the game and turns it from simple game of luck to one with a lot more strategy. 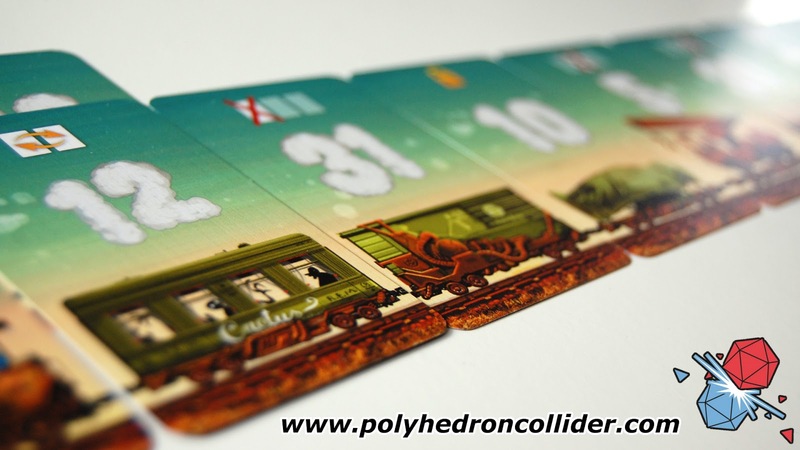 When using a random card to replace a carriage, the removed carriage is placed face up in the centre of the table, therefore allowing other players to pick that card to use its special ability. 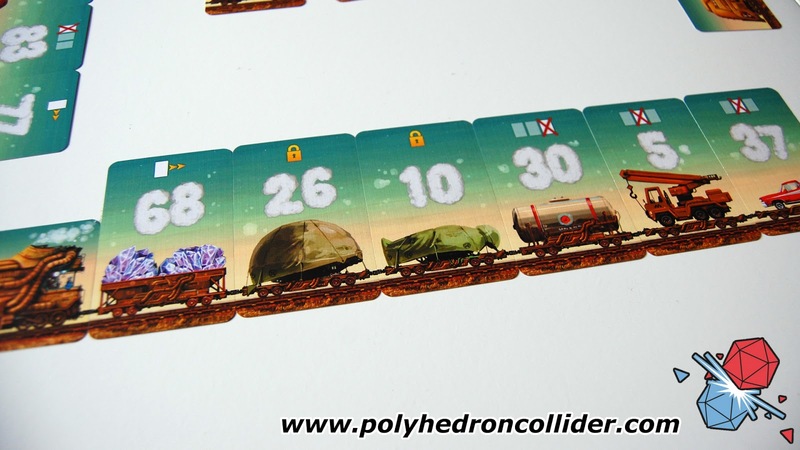 The astute amongst you may have noticed that this therefore means that choosing which carriage to place isn't a simple numbers game, as you may not necessarily want to give the next player access to a swap ability that could carelessly help them, or worse allow them to win the game. It’s fair to say that Game of Trains isn't the most complicated game in my collection. In fact, I would argue it's one of the lightest, smallest and least expansive games I own, but it's also one of the most fun. It's light enough that you can play it with more casual gamers and they will grasp the concepts straight away but there's also a surprising depth of strategy, playing the odds and a careful balance between playing the best move for yourself and denying the other players the opportunity to snap up a juicy card. 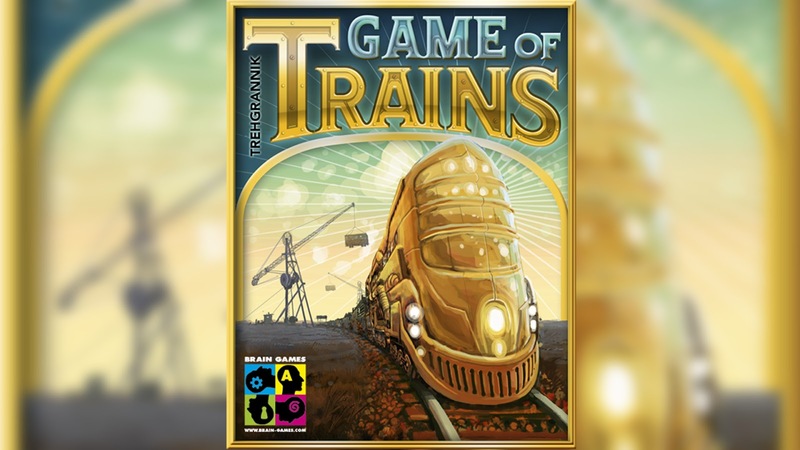 Game of Trains is fast light and surprisingly fun, and what’s more you can purchase it for less than £10! It packs a lot into a small box and has the dubious honour of being one of the few games that all three members of Polyhedron Collider own.